Sometime installing a new operating system on your computer can bring some problems along with all of the great new features. This is definitely a possibility after installing Lion on your Mac. Here are some troubleshooting tips to try out to help get your printer working properly again. Before you do any of the below suggestions the first thing you should do is check the connections on your printer. Make sure the cable to the printer is connected and make sure the cable from the printer to the computer is connect. While checking cables it might not be a bad idea to try a new cable from the printer to the computer. Also make sure the printer powers on. If you have a second Mac you might want to try the printer on that one to make sure it is still working properly and hasn't coincidentally had something go wrong with it at the same time you installed Lion. Once you have done a cable and power check it is time to look into is making sure your software is up to date. The easiest way to do this is running Software Update from the Apple Menu. If you are lucky you will see printer driver updates for your printer's brand in the list of available updates. If so, there is a good chance your printer will be working after installing the updates. If there were no updates on the first try, try again. Sometimes there are updates to software that require certain updates be installed first. As a result, further updates might appear after installing the first batch. Confused? Basically, run software update until no further updates appear for installation. If running software update does not work, check the website of the company that makes your print for any updated and Lion compatible drivers. If they are there, download and install those updated drivers. Even if you are not required to restart your computer after installing any of the above updates, I highly recommend it. It is a few extra minutes that can help save you from wasting a lot more. If updating your software does not work the next step to try is reinstalling the printer. It is possible any driver update did not take on installation and the printer you are set up for is using the older software. To remove you printer you want to go to the Apple menu and choose "System Preferences." Next choose "Print and Scan." From this window you should see your printer in the device list. Click your printer and then click the "-" sign under that column. This will remove the printer. To add the printer back just click the "=" next to the "-." You will see a list of printers connected to the computer. If you only have one printer that your computer can access this will be easy. Just click that printer and follow the prompts. If you have multiple printers make sure you are selecting the correct one. Be sure your printer is powered on during this step or it might not show up in the list. If by some chance your printer is not listed the drivers are not present and you need to contact the manufacturer and make sure your printer works in Lion. While restarting is not required after selecting a printer, I recommend it and "Something that won't hurt." If all of the above have failed to help there is still one more place to look for help. It wouldn't be a bad idea to start a post in Apple's discussion forum to see if anyone else with your printer has had the same problem, or is able to get his/her printer working. You'd be surprised at how fast you will get a response. Apple's discussion forum can be found at this address: https://discussions.apple.com/index.jspa. Finally, there are two last resort options. The first is doing a fresh install of Lion. Before doing this make sure everything is backed up because your computer will be erased. Also, if you do have to take this step make sure you run Software Update on installation is finished. Of course, if all else fails you might have to resolve yourself to that possibility that your printer is not compatible with Lion and it is just time to get a new printer.Unless you have an older printer this probably wont happen, but it is possible. 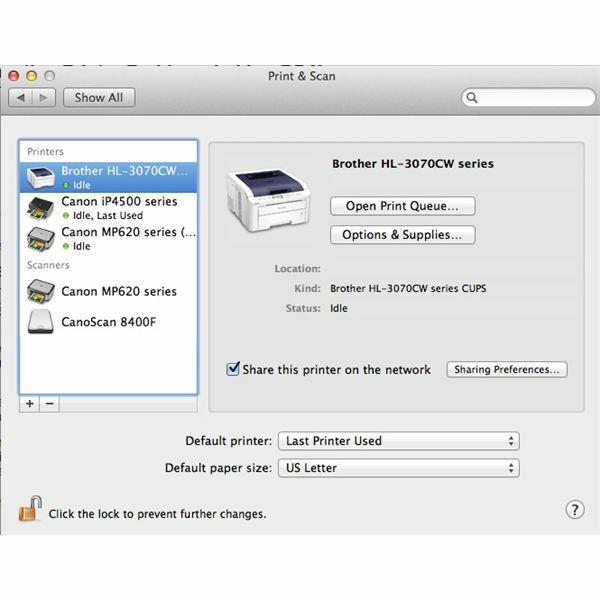 Hopefully, one of these options will help you get your printer working again in Lion. Have a tip for troubleshooting a printer problem? Leave it in the comments below. Article based on author's experience.